RTP Company, headquartered in Winona, Minn., is a global compounder of custom engineered thermoplastics. The company has 12 manufacturing plants located in the United States, Mexico, Europe and Asia. RTP Company’s engineers develop customized thermoplastic compounds in over 60 different engineering resin systems for applications requiring color, conductive, elastomeric, flame retardant, high temperature, structural, and wear-resistant properties. 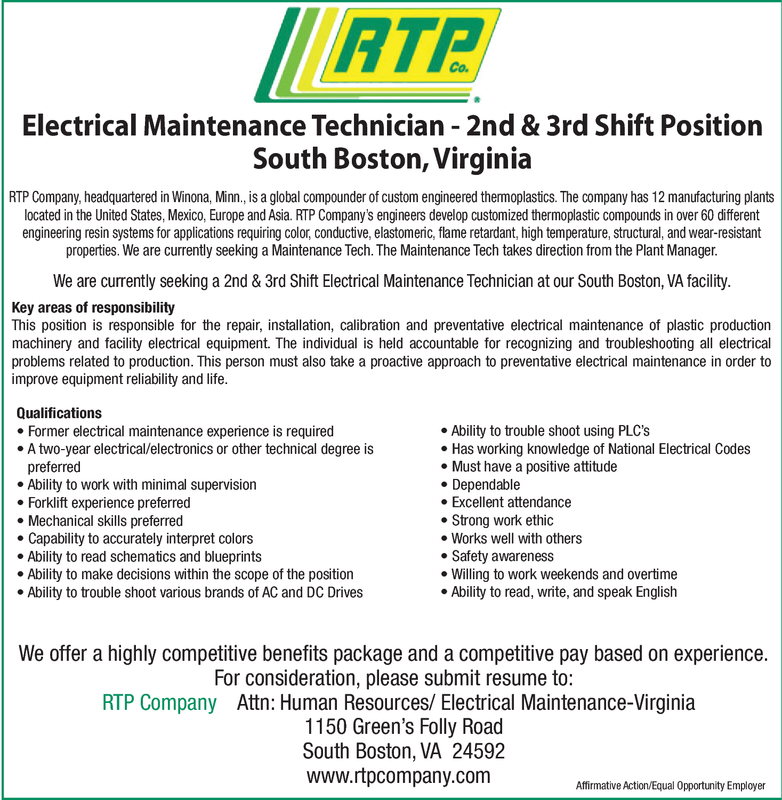 We are currently seeking a Maintenance Tech. The Maintenance Tech takes direction from the Plant Manager. We offer a highly competitive benefits package and a competitive pay based on experience.